Pale straw and platinum hue. Fresh and lively aromas of present with magnolia blossom, Meyer lemon, grapefruit pith, wet stone mineral and apricot. A bit of heft comes in with quince and sage notes. It is refreshing with just enough weight, though at this point is primary and precise. The wine is bright and refreshing, dry and quite acid-driven and stoney in comparison to the expression of the varietal grown and produced in the Rhone. Elegant and balanced with mineral depth and a spiny and fresh texture. Flavors follow the nose with a bit more pear liqueur, nectarine and fresh white floral notes. Good mid-palate weight leads to long citrus pith and mineral finish. I love the bright acidity and freshness this wine displays. A long life awaits this wine, if you can have the patience. Drink over the next 10 years. Jesse Skiles is doing wondrous work with Rhone varietals from Washington State and his wines are only getting more precise and expressive. 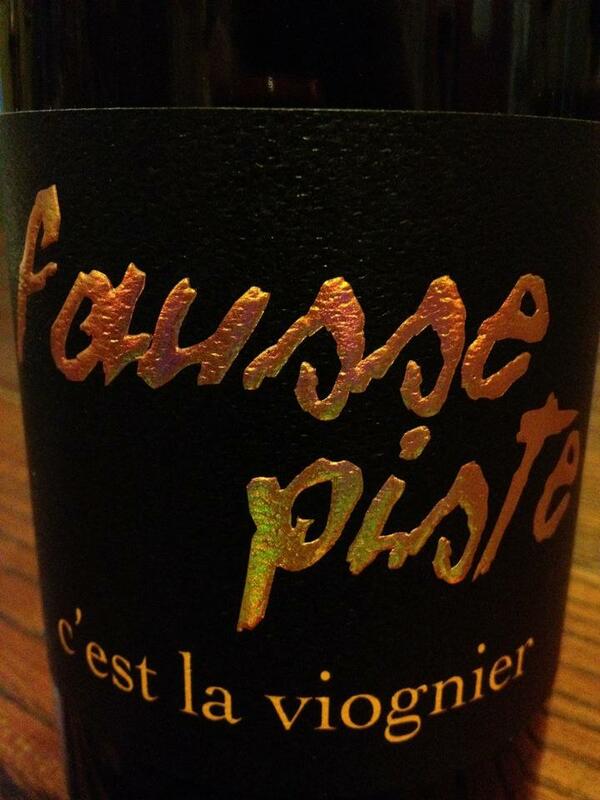 The 2008 Fausse Piste c’est la Viognier is one of his first commercial releases. The vineyard is located the heart of the Rattlesnake hills sub AVA of the Yakima Valley, Outlook sits at 1200′ with rocky sandy soils and south facing aspect. Look out for his wines and visit his website, he deserves your attention if you are a fan of REAL wine.